Eight months into her pregnancy Miracle’s mother started convulsing – a sign that undetected unchecked pre-eclampsia had advanced. She was taken to the region’s high risk maternity hospital and delivered a 3lb baby that same day. The pre-eclampsia had caused bleeding in her brain and though her life was saved, Miracle’s mother was now hemiplegic. Initially her milk came in but soon after her two week hospitalization ended her milk dried up and Miracle deteriorated quickly. Family members banded together to purchase a single tin of formula and tried to stretch the precious formula over the course of a month. Joyful Motherhood nurses were visiting an orphan in a neighboring community when they were told about Miracle. When they found her, she was severely malnourished and near death. 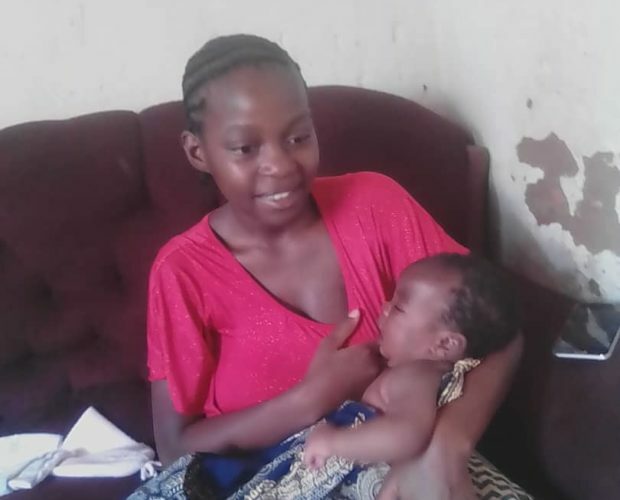 Joyful Motherhood nurses immediately enrolled Miracle and worked to keep her on kangaroo care – wrapping her skin-to-skin on the chest of her mother or grandmother. They also attempted to restart lactation. 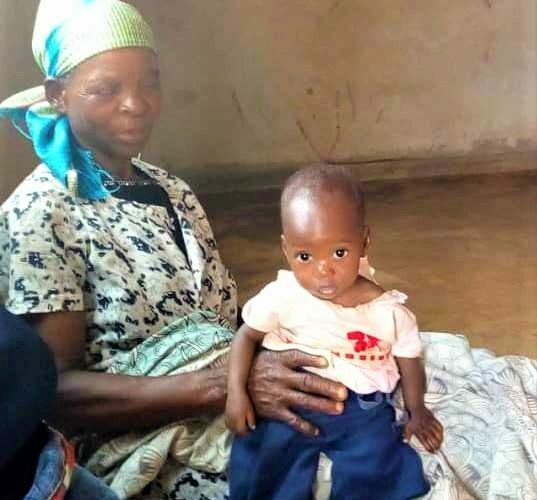 Miracle is now six months old, she remains underweight at this time but nurses are continuing their visits and working to help Miracle close the growth and development gap between herself and her peers. Time is certainly of the essence as research shows that being underweight at 2 years predicts diminished development, productivity, and intellectual achievements over a lifetime. Joyful Motherhood will keep Miracle enrolled until 2yrs of age. 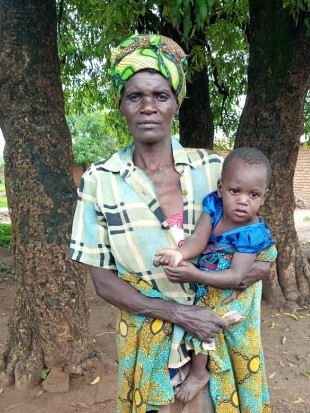 During her pregnancy with her sixth baby, 35-year-old Tabalire suffered from severe headaches. She attended the recommended prenatal care and repeatedly told the midwives. She was admitted for a few days but discharged without any notable improvement in her condition. While admitted during her delivery, she again complained about the severe headache. Her delivery went well and her baby boy weighed almost 8lbs. At the time of discharge she continued to complain about a headache and backache. Nine days later her family arranged transportation to the hospital realizing that she was quickly deteriorating. Tabalire died on route to the hospital. When they reached the hospital nurses referred the family to Joyful Motherhood for continued support. Tabalire’s children are being raised by her sister. Faith was born January 28, 2018. 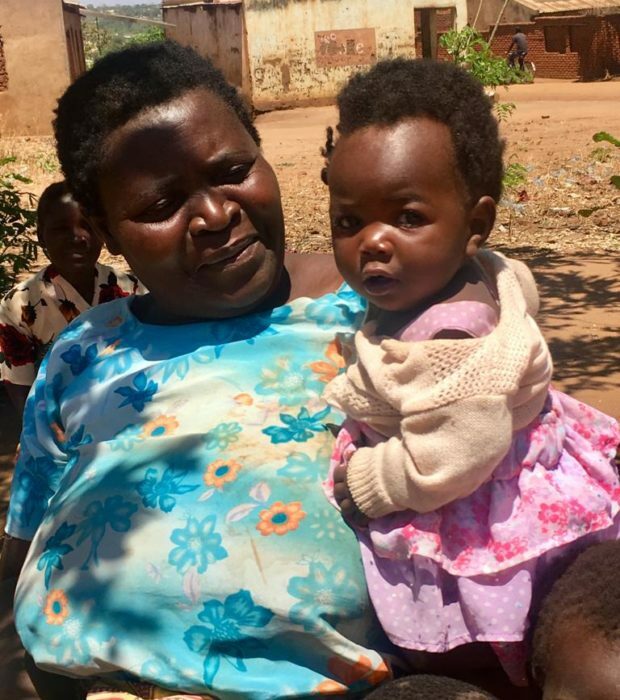 Her birth was uneventful and the next day her 23-year-old mother, Salimba, took her home to meet the rest of the family. On February 14th Salimba became ill. Her family says her face and feet were swollen and she started vomiting. On February 18th they took her to the closest health center. She died there before she was ever evaluated by a clinician. Faith’s grandmother was then directed to Joyful Motherhood. Overwhelmed and grief stricken she told the nurses she didn’t think she would manage. She had five other children at home to raise. 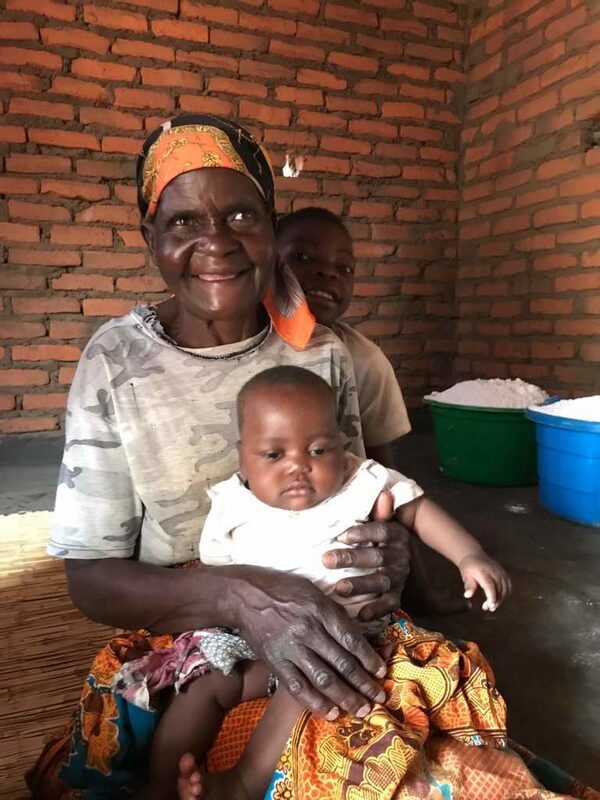 With support from Joyful Motherhood nurses, Faith’s grandmother has done a wonderful job; today she glows when talking about her granddaughter. In the face of this beautiful woman you can see lines of grief, determination, and quiet joy. She is holding her grandson Precious who was born on the day her daughter died. Her daughter delivered Precious and then as she lay back to embrace her new son she began to bleed. The bleeding continued despite efforts of those with her to slow it down. Her life washed away in a sea of red. Her mother clung to her newborn grandson and gave him a name from her heart. She worried about her ability to keep him alive and well, without breast milk and without money for formula. Within the week after telling countless people her story, she was directed to Joyful Motherhood for support. Precious is now 8 months old. Nineteen year-old Juliet was nearing the end of her pregnancy. 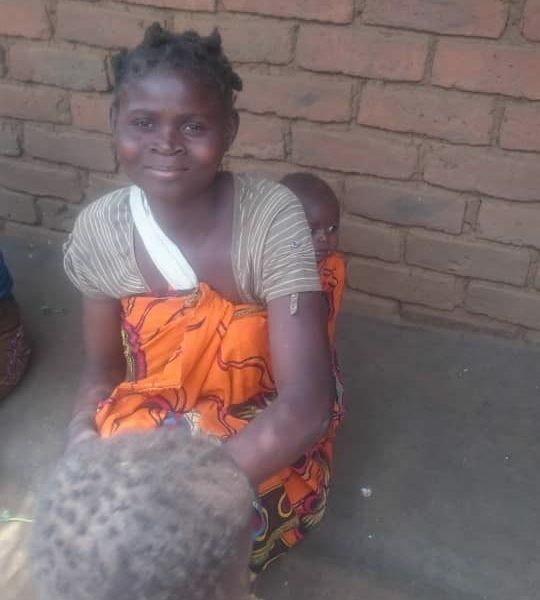 She had gone for her prenatal visits at the Mitudu health center, she had taken the antimalarial medications as instructed by the midwife, had the necessary blood work, and regular blood pressure checks. Everything seemed to be going well until the day she collapsed and started seizing. Pre-eclampsia is one of the most dangerous diseases of pregnancy. Even as our knowledge about it continues to grow, our ability to predict who it will effect remains limited. The onset is often sudden and occurs towards the end of pregnancy. One of the warning signs is a rising blood pressure. Pre-eclampsia can affect all the major organ systems, damaging the liver and kidneys, resulting in bleeding in the brain, seizures and death. 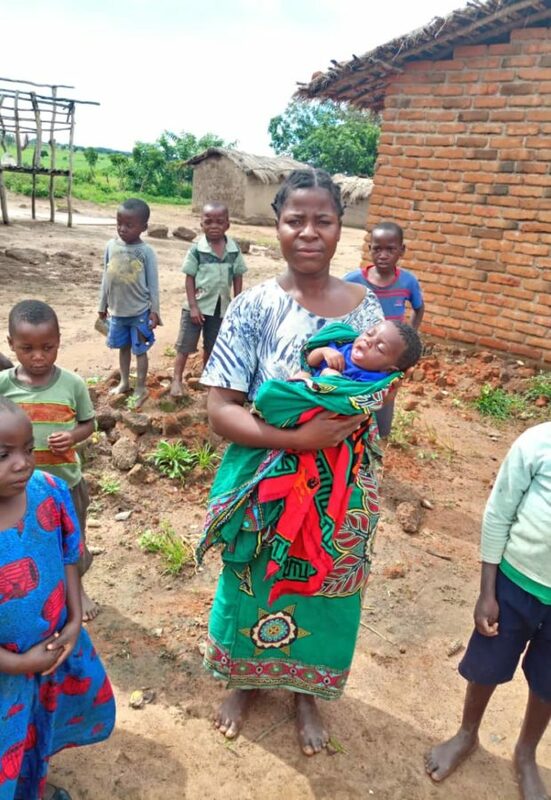 Those around her took Juliet immediately to the health center and from there she was transferred to Bwaila, the district maternity hospital. Without a well organized EMS this process of just getting her to a place where she could be helped took several hours. When she arrived at Bwaila, Juliet was unconscious and still seizing. The midwives – familiar with this presentation – quickly administered magnesium sulfate, the only medication shown to help control and prevent eclamptic seizures. Even with the medication, the only cure for eclampsia is delivery. Once a woman reaches the point of seizing her life is in grave danger and if she is not delivered within a relatively short period, both she and her baby will die. Unfortunately even delivery does not guarantee that the mother’s life will be saved. The clinician at Bwaila delivered her 5lb baby by C-section and Juliet was sent to the ICU, where she remained unconscious for 4 days. This is where our nurses found Juliet. 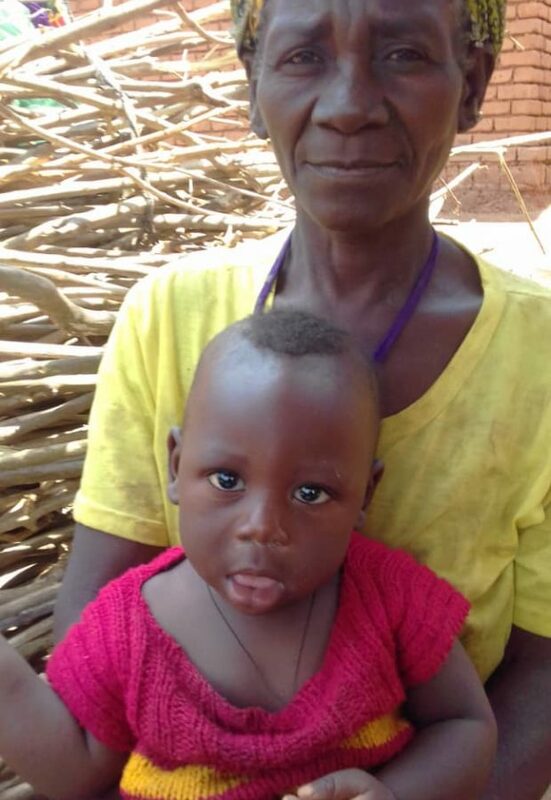 After talking with her family, she was enrolled in our Mother Care program. Juliet regained consciousness and after a short period she was discharged from the hospital. The nurses planned to visit her six times in her village. During their first visit, nurses found Juliet still swollen and convalescing, still struggling to care for her baby. This picture is from their second visit. As part of her home based care, nurses will counsel her on the disease and help her community members create an emergency plan for such events in the future. They will also provide some education on the care of her baby and help set up an income generating project. Chisomo weighed less than 5lbs at birth and his mother died just moments after his first cry. 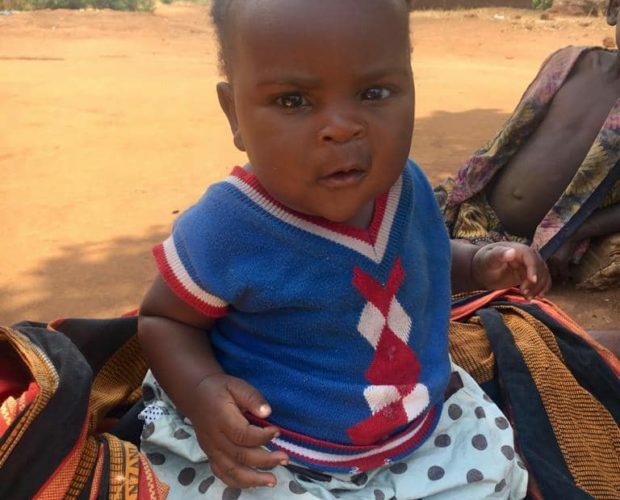 His low birth weight and his status as an orphan meant that from day one, Chisomo was much more likely to die in early childhood than his peers. Thankfully, his grandmother was directed to Joyful Motherhood and has been receiving home based support from our nurses. He is now 3 months old and his chubby cheeks are a sign of good loving good care. Evenso, it is important to remember that he still has a long road ahead of him. Malaria, diarrheal illnesses and household food insecurity will continue to threaten his well being. With your help we can ensure that AMHI and Joyful Motherhood will stand by his family until his second birthday.